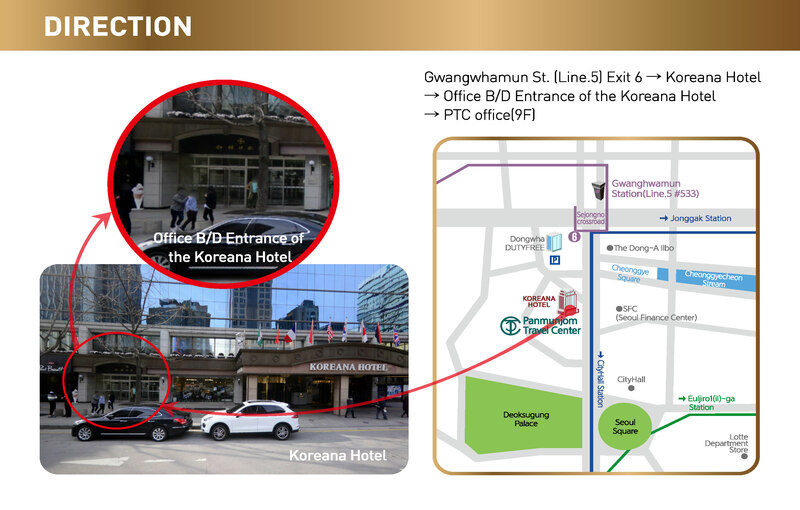 Pamunjom Travel Center(PTC) will move to Koreana Hotel office building 9th floor on 13th May 2016 . We will do our best to serve you at the new location. Pamunjom Travel Center (PTC) highly appreciates the support from our clients.